What will Apple do with its dying iPod range? What if on some fine morning, you came across the news which says that Apple discontinues its iPod line of products? You would fall from the sky, right? Same happened with me when I heard a rumor last week that Apple is planning to kill its iPod range very soon. This rumor came into being when the company released its vacancies asking for a ‘New Product Operations Program Manager – iPod,’ a ‘Technical Program Manager – iPod’ and a ‘Product Quality Engineer – iPod’. 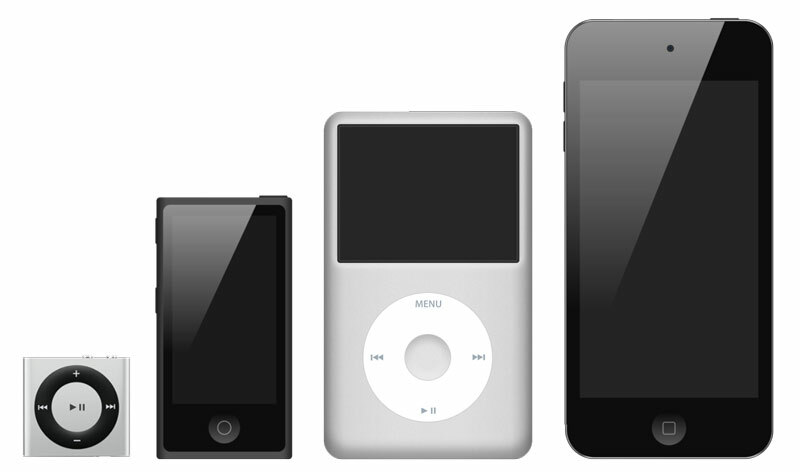 This development created a stir in the media and projected the death of iPod range of Apple’s products following the excessive sales during the Christmas time. But the reality is a bit different from the common thought. The iconic Apple iPod is most likely going for one more technical up-gradation and renovation before it even thinks of sending it to the rehab factory. This has been inferred after speaking to different sources and obviously seeing the type of openings the company is releasing. It has been also said that the company is planning to complete the update cycle of iPod one more time and then going to introduce a new line of product based on the fame it collected using the iPod. Though this inference is a bit sluggish for Apple still anything is possible in a competitive market. If history really repeats itself and if Apple’s traditional release methods are to be used as a benchmark, then one could easily guess that Apple will revamp its iPod line in the coming months of 2014. During the launch of iPhone 5S last year, Apple released a modification in its iPod line by adding the space-grey colour to Nano,Touch and shuffle. If you consider iPod Classic – it hasn’t been updated since 2008. So it is most likely that this year iPod Classic would get a hardware upgrade before its much-awaited exit from the market. Just to make you all remember, Apple’s started off with its iPod range on 2001. Till 2007, it was the most wanted device all throughout the market. Since 2008, everything started to change as the sales curve started falling. Many sources confirm that since Apple had shifted its gears towards iPhone and other devices, the R&D on iPod had stopped leading to this catastrophe. Though the future is tough to guess, but still Apple has another lifeline to save its range. Otherwise RIP iPod’s. Well I guess I don’t feel anything if apple discontinue the productions of ipod because I don’t own any of it.